Charlie Brown and the Peanuts Are Getting A Big Screen Franchise!!! The 20th Century Foc animation team and Blue Sky Studios are developing a big film franchise for Charles Schulz’s ‘Peanuts’. The team behind ‘Ice Age’ has already set a release date for the first film, which will be Thanksgiving day in 2015, so we have a bit of time. More than three years in fact. That date celebrates the 65th anniversary of the original comic strip and the 50th anniversary of the ‘Charlie Brown Chistmas’ special according to Deadline. Steve Martino will direct the project. Martino directed ‘Dr Seuss’ Horton Hears A Who!’ and the latest ‘Ice Age’ film. Charles Schulz’s son and grandson will help write and produce the first film at least, which is very cool. This deal has been in the negotiation stages for over two years. This is very cool news, and I can’t wait to see what comes of this. I wonder if it will be 2D animation or the CG 3d animation? Only time will tell. Film Review: ‘The Peanuts Movie’! 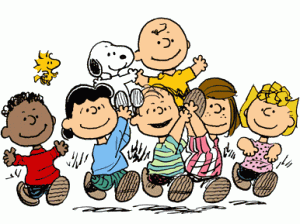 Paul Feig Is Set For the ‘Peanuts’ Film!!! This entry was posted on Tuesday, October 9th, 2012 at 10:46 am	and is filed under Film, News. You can follow any responses to this entry through the RSS 2.0 feed. You can skip to the end and leave a response. Pinging is currently not allowed. « Get a Sneek Peak at the first Episode of ‘Walking Dead’ Season 3!! !